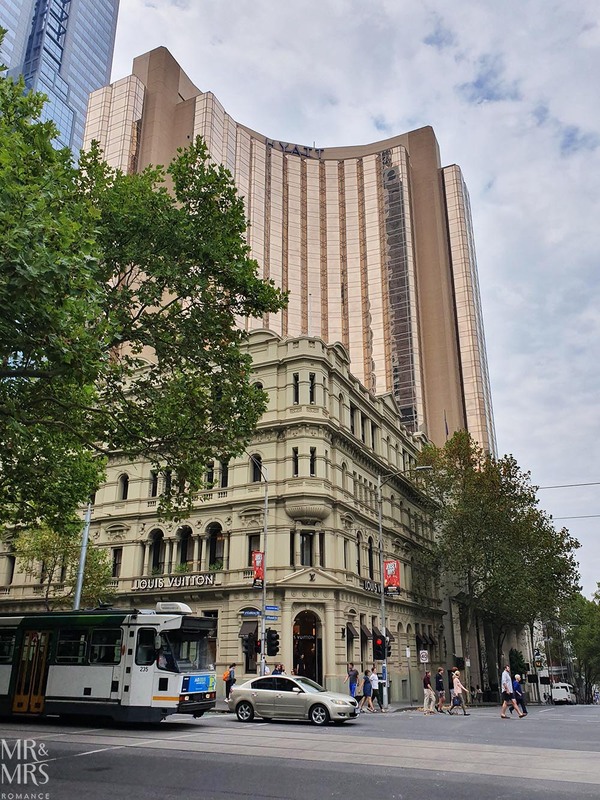 This week is a tale of two cities – Jim is in Sydney and I’m in Melbourne. 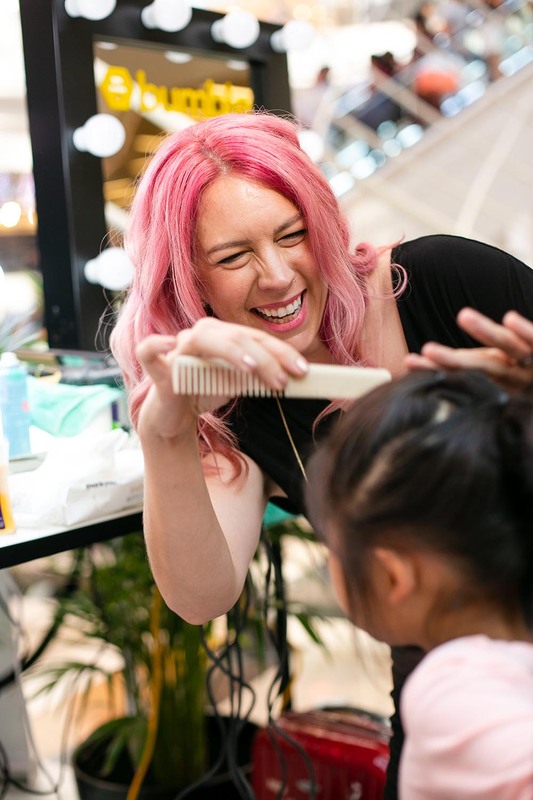 As part of my work with Hair Romance, I’m down here working with Optus and Samsung to launch the new Galaxy S10. It’s the most fun campaign with the goal of taking better profile pics for everybody. 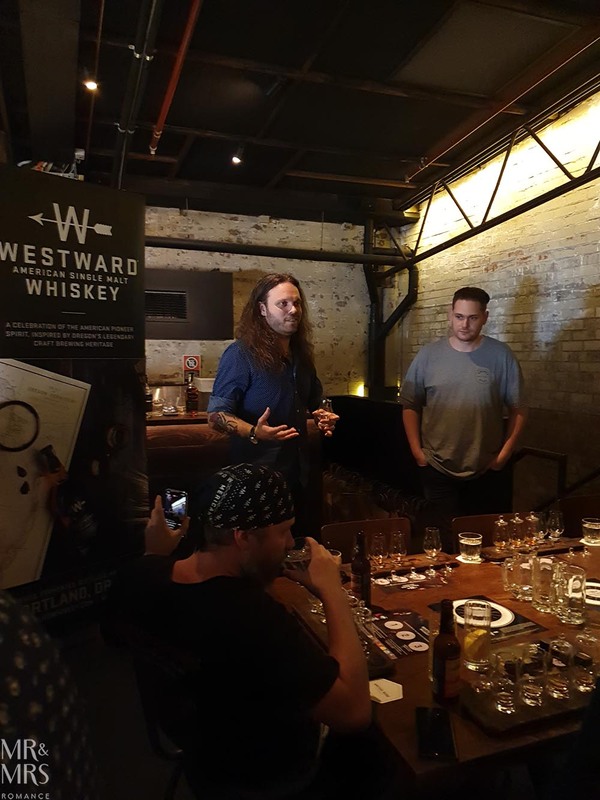 Meanwhile, Jim’s Meeting the Makers as part of a beer, wine and spirits fair in Sydney, and when I’m back in Sydney, we’re checking out a brand new single malt whiskey from America called Westward. Jim even gets in a quick interview with Westward’s lead distiller Miles Munroe you can see here. 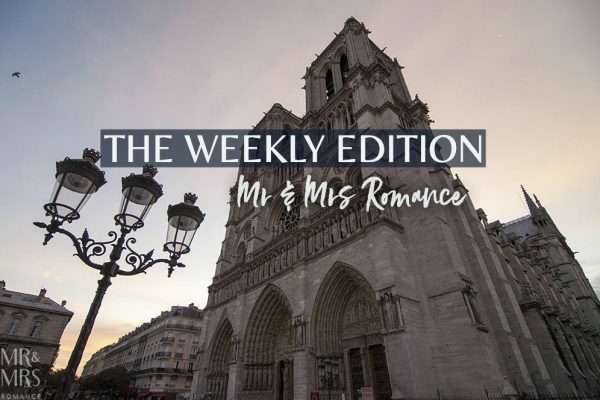 Finally, Jim also gets to try a wine that’s not only new in but also best dressed – by Lisa Gorman no less. 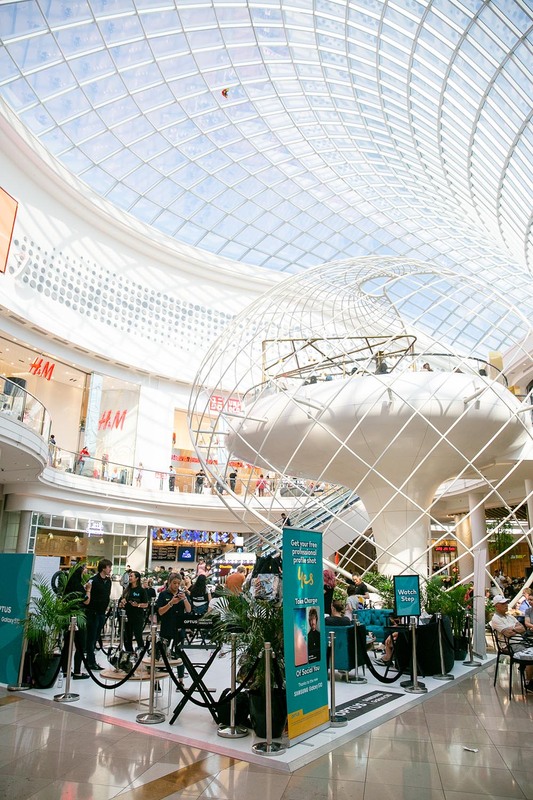 We set up a mini studio at the beautiful Chadstone Shopping Centre. I’m the hair expert to help style you together with the makeup maestro Max May. Once you’re all glammed up, you can get a new profile pic taken by a pro photographer with the impressive new Samsung Galaxy S10+. You can read more about this cool project – and my tips on how to take a good profile pic – here. By the way, can you spot me in this photo? How about now – can you see me? It’s hectic and we hardly take a break but because I’m having so much fun with the makeovers, the time flies by. I can’t have done it without Olivia on hair and makeup too. 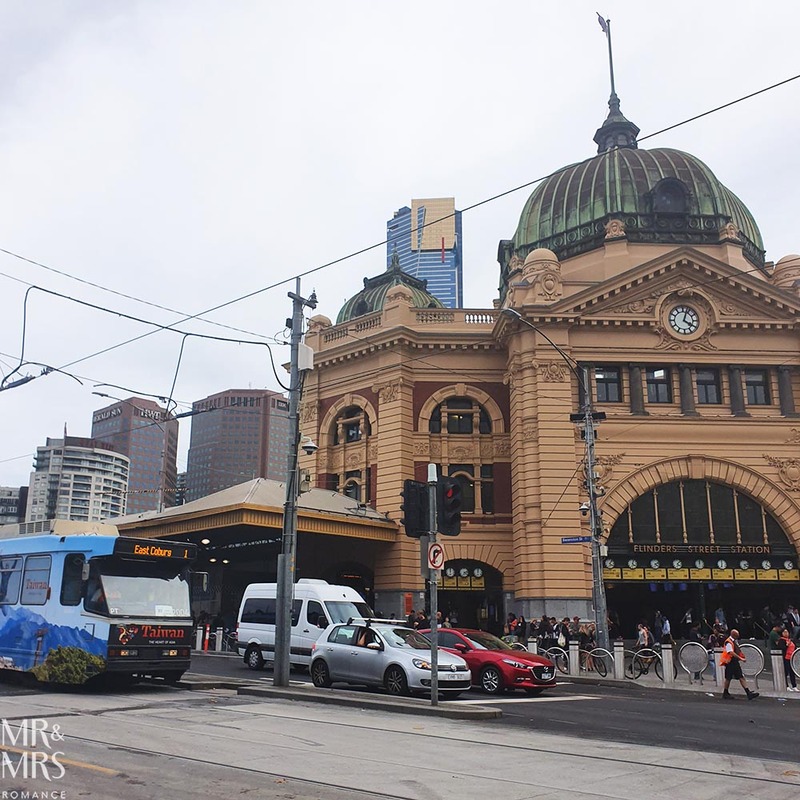 The only bad thing about being so busy is that I haven’t got to see much of Melbourne on this trip. What I do see is mostly the inside of my hotel. Good job it’s a nice one! 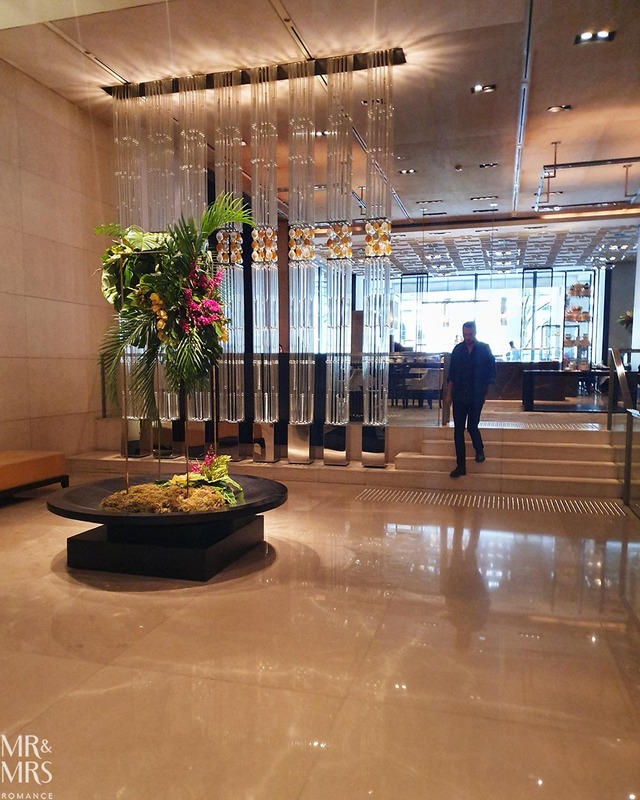 Checking in at the Grand Hyatt Melbourne, I’m really impressed with the staff and the layout of the room’s really comfortable. 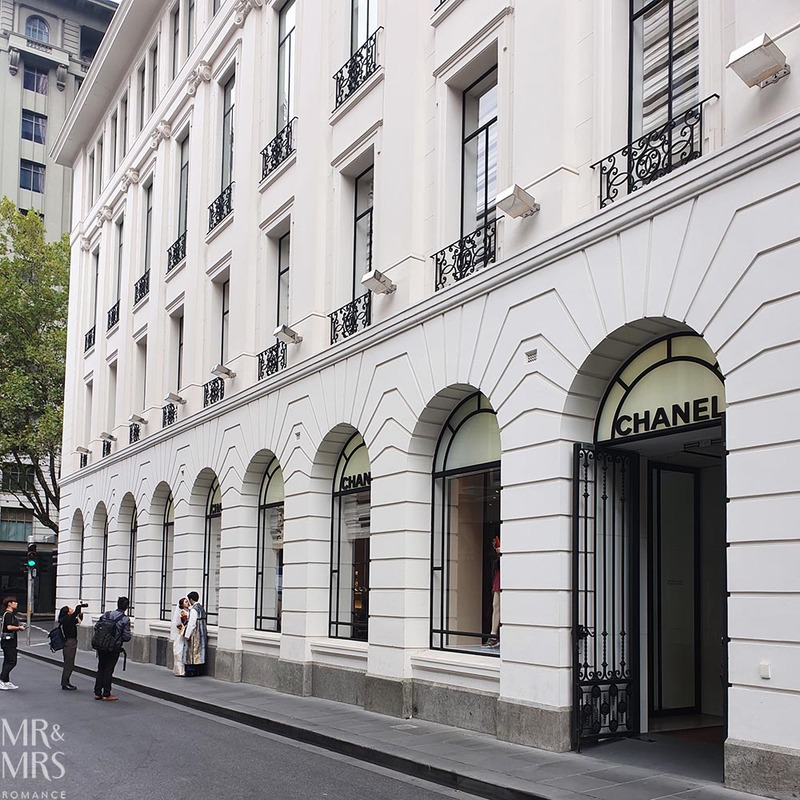 The location of the hotel is perfect, right at the Paris end of Collins Street. 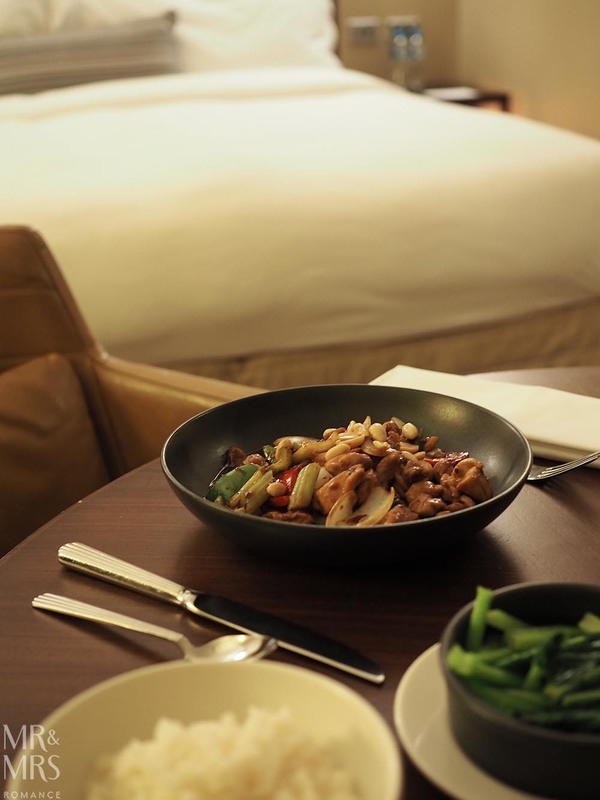 After each crazy day, I just end up dining on room service every night before settling into the super comfy king size bed. In between work and sleep, I do manage to get outside for a few quick walks. I love this part of Melbourne. 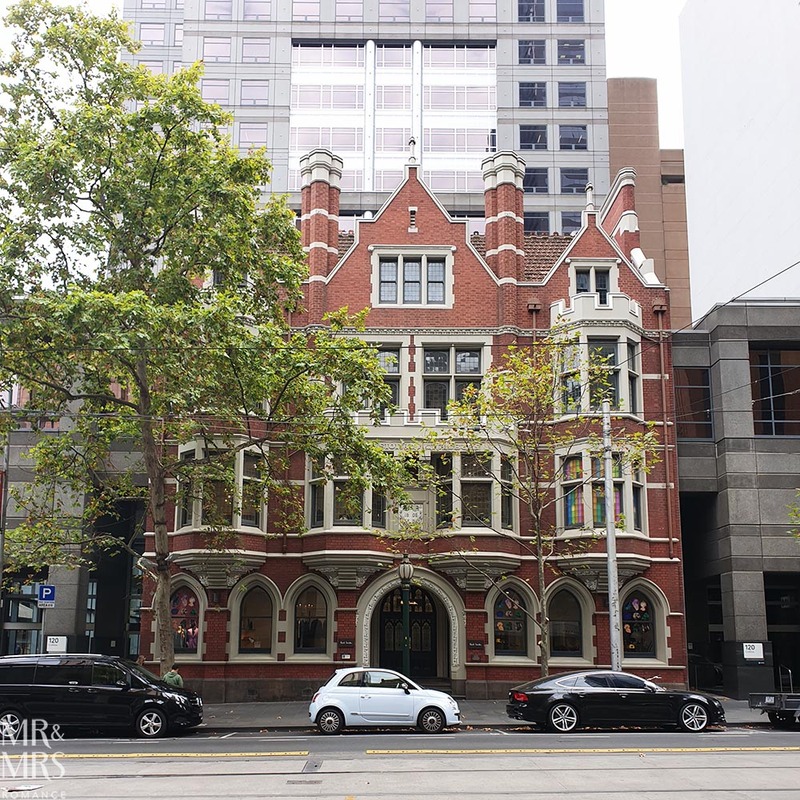 Collins Street has some beautiful old buildings and with all the luxury stores, you might even come across an impromptu photo shoot. Before hopping on my plane home, I get to meet one of our newest friends: little baby Jamie. 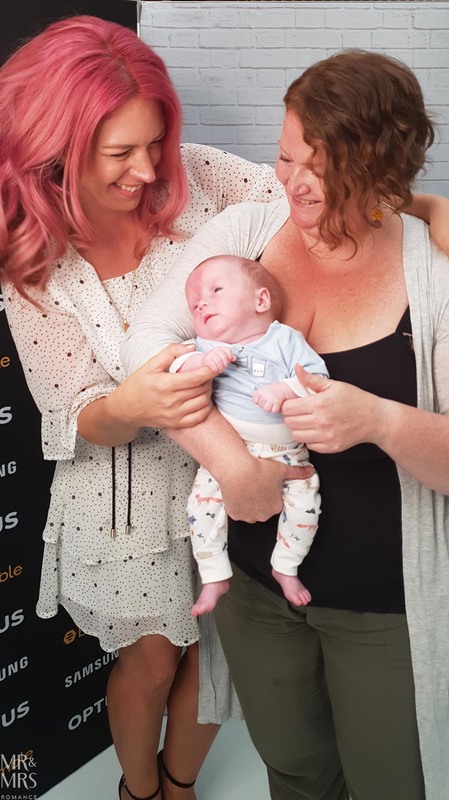 Our friend Jess now lives in Melbourne and she’s come to visit me at the pop up so we can get a photo together. 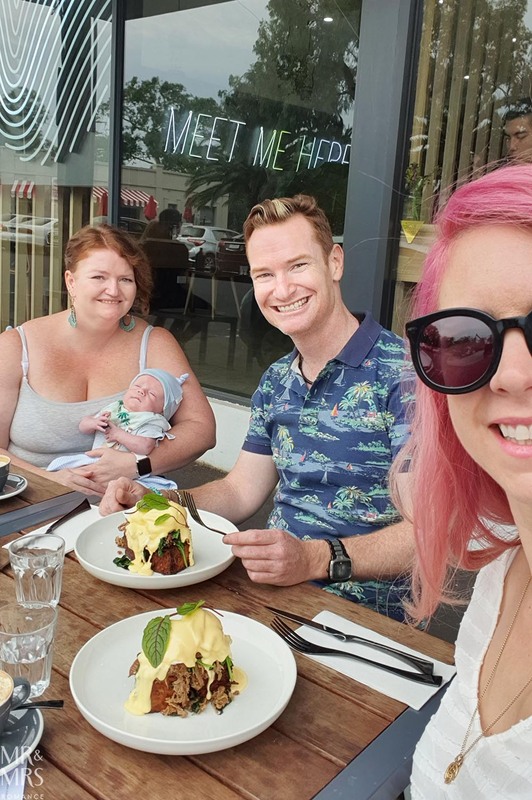 Of course, I can’t leave Melbourne without trying a new café so I’ve met up again with Jess and her brother and our best mate Rohan (fortuitously down from Sydney too!) 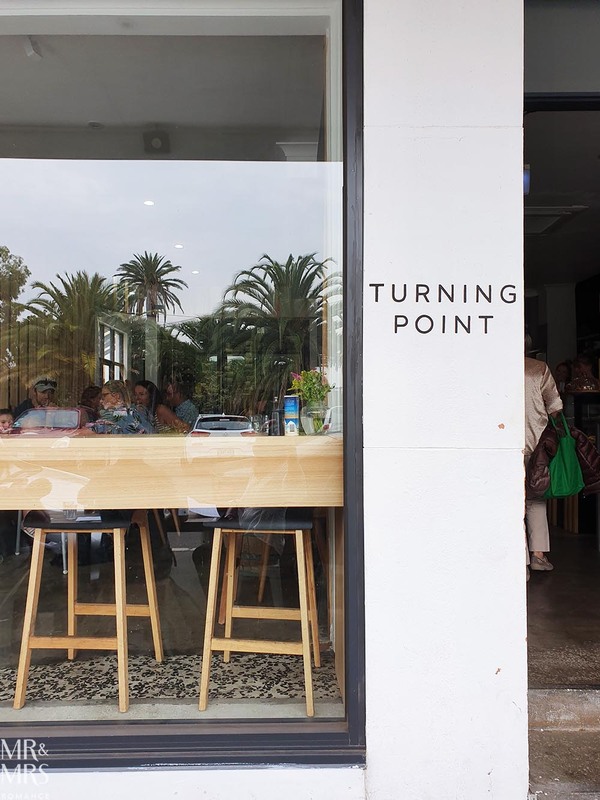 and Jamie and we head out to Turning Point Cafe in Rippon Lea. It’s a great spot for babies and pets, and even has easy parking! Turning Point only has a small menu but we’ve still had trouble deciding what to order. The good news is there was no food envy as Rohan and I have both ordered the cafe’s version of Eggs Benny. 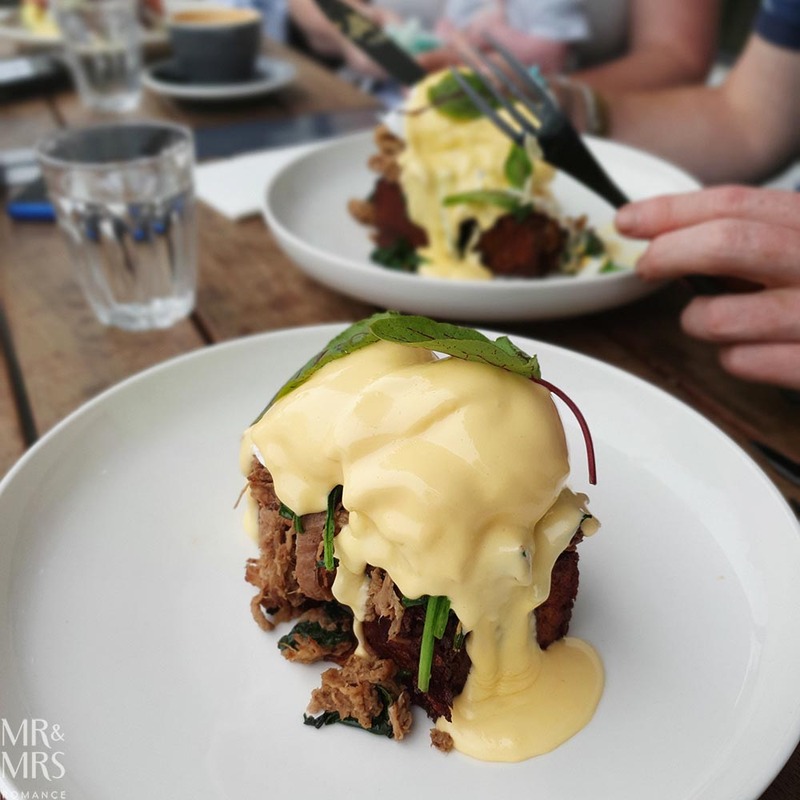 Their version features pulled beef and spinach on top of the crispiest softest potato rosties with hollandaise. Amazing! As you’re reading this, I’ve already headed off again to Brisbane to do an Optus pop-up at Carindale. There’s still time for you to get involved though. 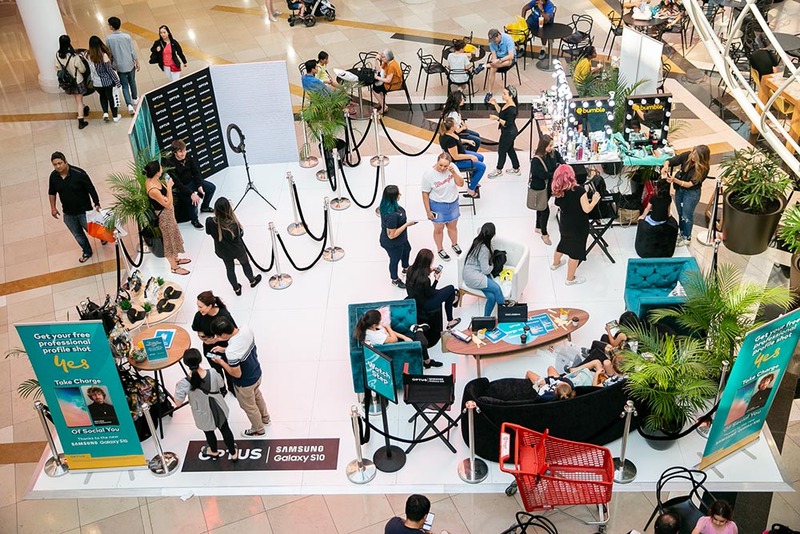 If you’re in Sydney next weekend, come to the Macquarie Centre to and catch up with us at the Optus pop-up there. Follow @Hairromance and for all the details. That’s my part of the week and I’ll pass you back to Jim for the rest of the fun. Hello! 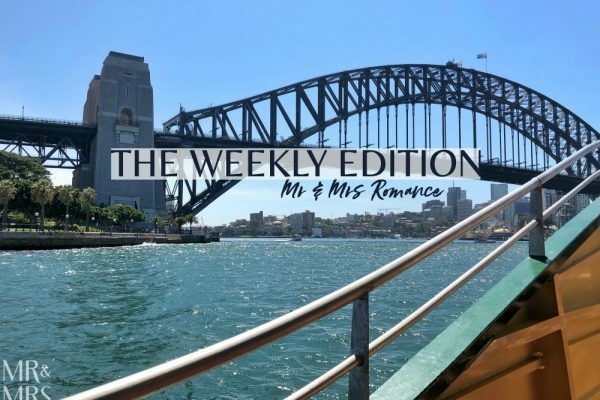 If you still have enough energy after Christina’s busy time in Melbourne, I’ve got some very cool (mostly booze-related) stuff to tell you about. 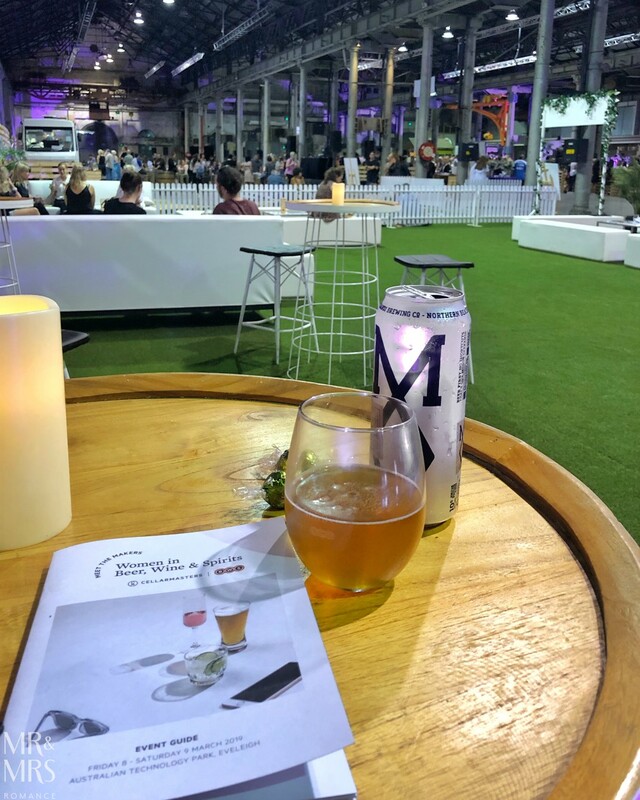 First up, as part of International Women’s Day, Cellarmasters and BWS have put on a fascinating festival called Meet the Makers: Women in Beer, Wine and Spirits in the expansive Australian Technology Park. I’ve been to ‘meet the maker’ event before where you get to meet the people involved with crafting various delicious things. The difference with this one is all the products on show are made – at least in part – by women. 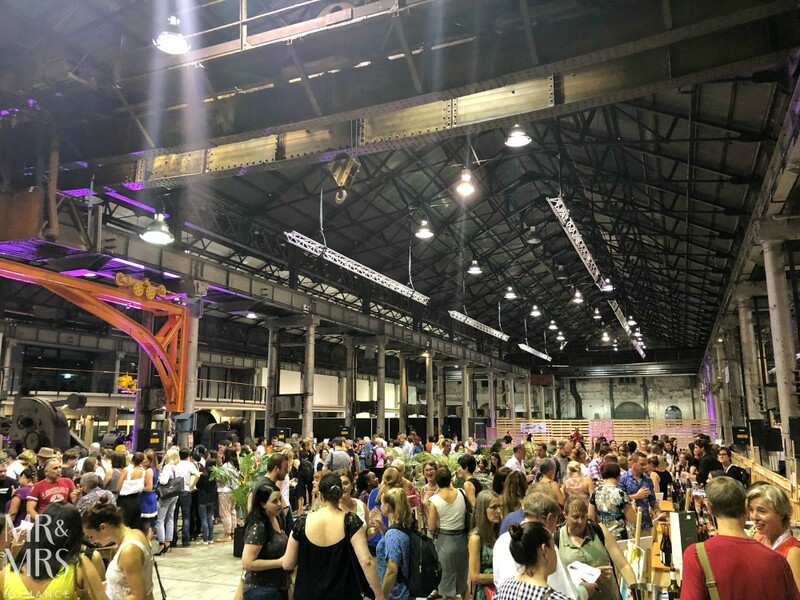 There really aren’t that many woman brewers, vintners or distillers in Australia compared to the number of their male counterparts, so tonight has extra meaning. As the evening gets underway, the crowd really picks up. It’s so good to be able to talk to the people who actually make the beer, spirits and wine, and it’s interesting to hear their take on the industry – from a woman’s perspective. Of course, I’d never have the courage to come to an event like this by myself. I’ve been invited along by the remarkable Kathleen Davies, who owns and runs Nip of Courage. 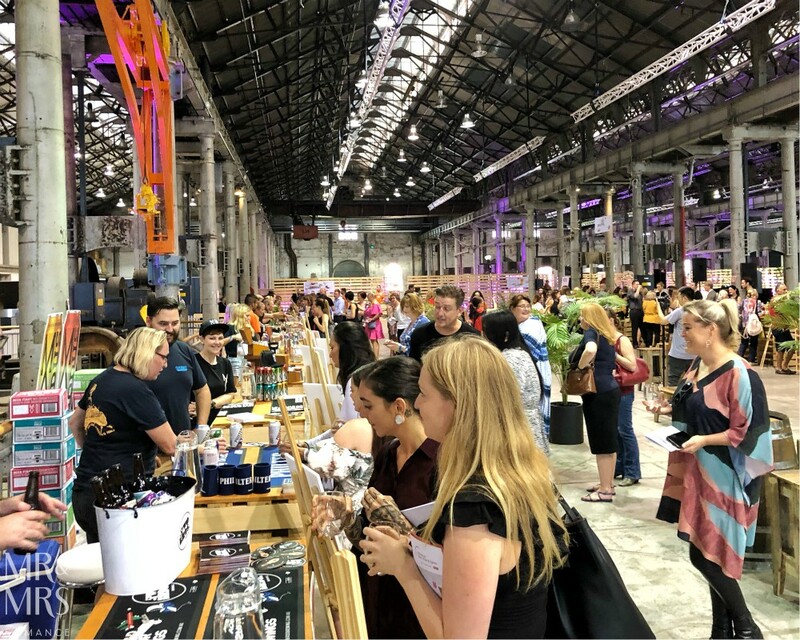 It’s a distribution and promotions company for Australian craft spirits – and it’s almost completely run by women! Kath’s managed to get us into the VIP section of this evening’s events where there’s an excellent selection of beers and wine to choose from. 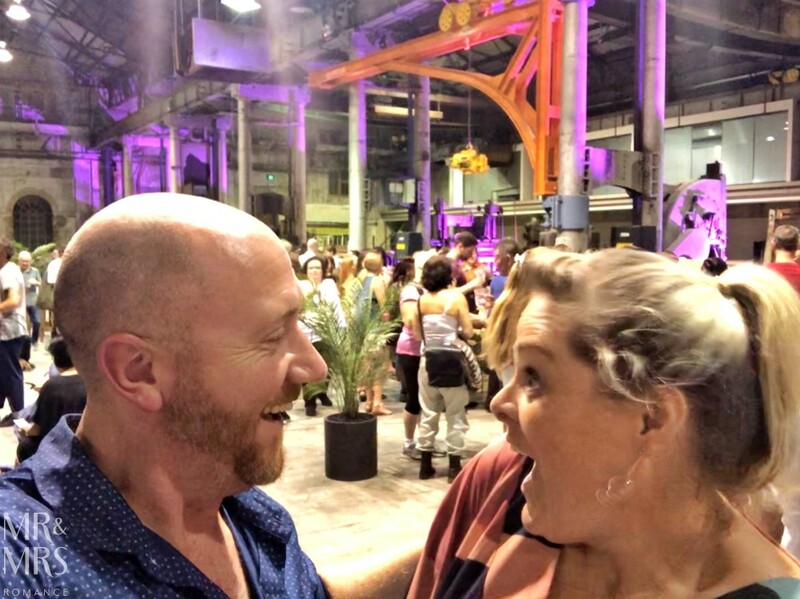 My vote’s always with Modus Operandi – made in Mona Vale by Jaz Wearin and her husband. I’ve yet to taste a beer from Modus I don’t like. After a quick refresh in the VIP section, Kath and I make our way back to the main section. It doesn’t take us very long to start being silly! All too soon, the inaugural Meet the Makers: Women in Beer, Wine and Spirits comes to an end, and Kath and I make our way to the mercifully nearby Moya’s Juniper Lounge. It’s time for a martini. Or two! The range of gin they have here at Moya’s is something quite beautiful to behold, but choosing which one to have is always tricky. I’ve gone with a salty Dasher & Fisher Ocean martini, while Kath’s elected for one from Melbourne Gin Company. This afternoon, I’m taking advantage of the warm weather and have taken myself out for a little picnic. As you might know, I’m not a huge fan of the ‘sit on a blanket and fossick on the ground for your food’ type picnics, but I’m pretty happy with this. 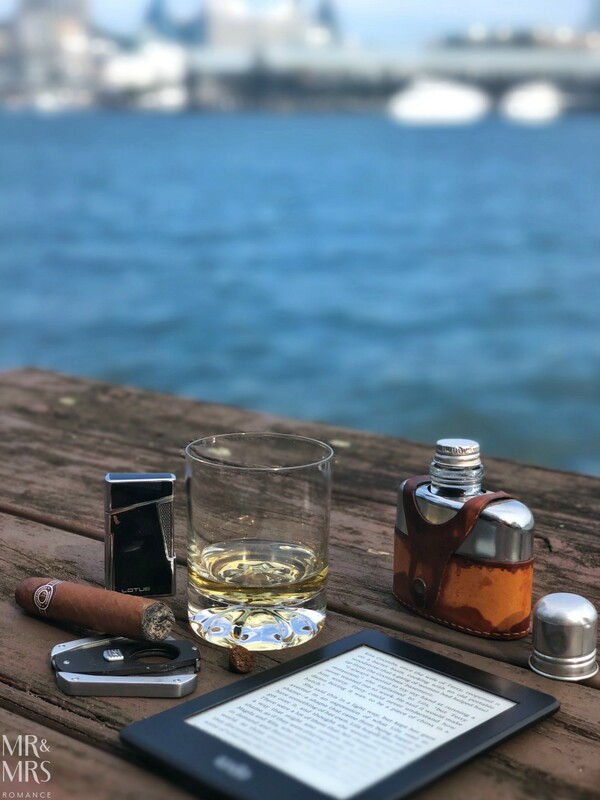 Good book, Cuban cigar, Japanese whisky – which I’ve brought down in my uncle’s old hip flask by the way. I love this thing. It’s a leather-and-tin-bound glass flask and has travelled all over the world. My uncle was in the navy and special forces, so this thing’s gone all over. You can even see teeth marks in the cap where his hands were too cold to unscrew it! At last, Christina’s home from Melbourne and we’ve both come to Rosebury for a very special tasting of whisky (or ‘whiskey’ I should say). We’re here to learn more about one of America’s few single malt whiskeys by a distillery called Westward in Portland, Oregon. Portland – and Oregon in general – has made a name for itself as an epicentre for craft. 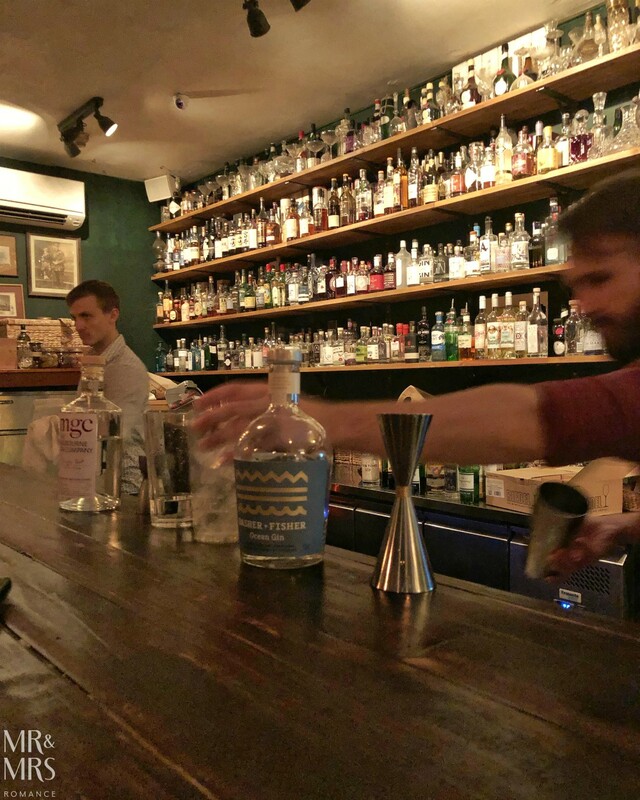 There are more craft breweries there than anywhere else and small-batch gin is big there too. Whiskey is just starting to making a move though. With the vast majority of whiskey from the States being Bourbon, it’s very interesting to see what single malt from the US is like. Of course, Portland being Portland, you always have to expect something a little different, which Westward certainly delivers. 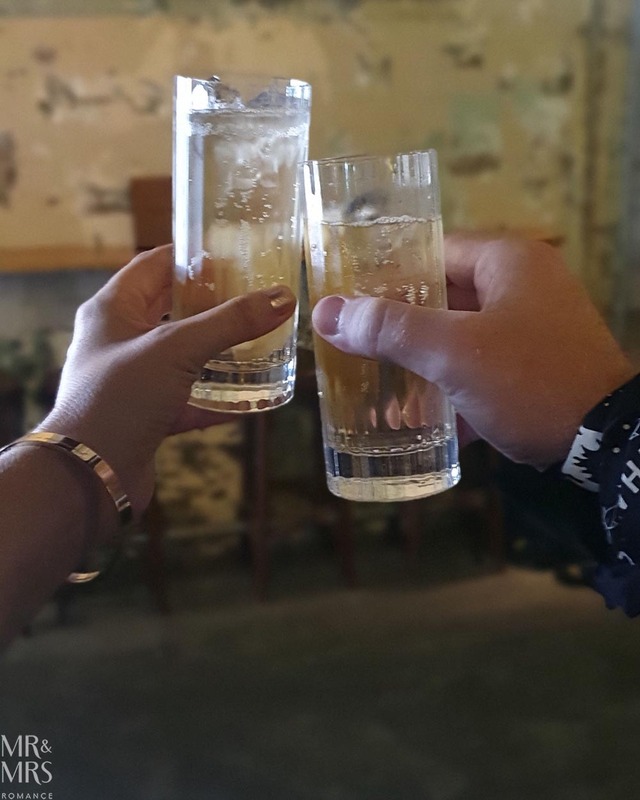 To get the ball rolling and before we get started on the masterclass proper, we’re welcomed with a Westward highball – simply Westward single malt and soda water. It’s superbly refreshing, which is handy. Today is boiling! The whiskey’s got enough muscle to still deliver plenty of flavour through the soda. 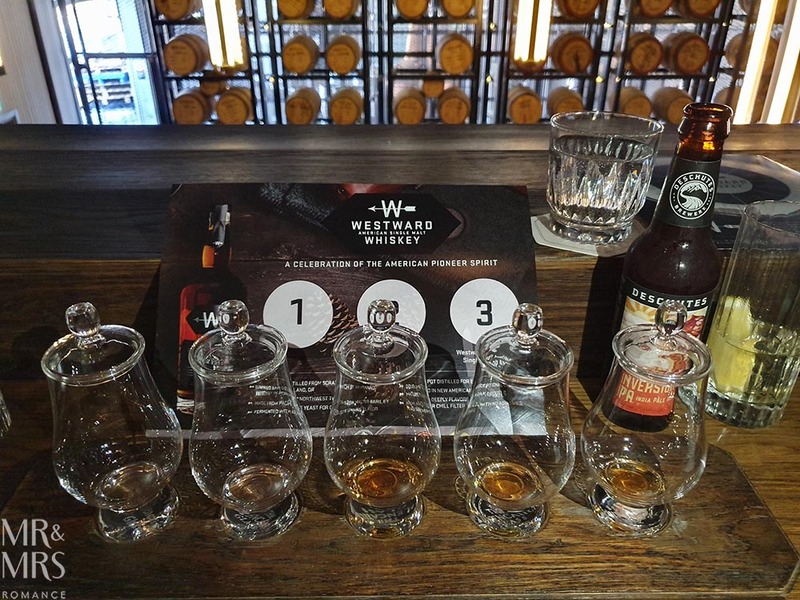 We delve into the whiskey/whisky flight, which is a mix of Westward whiskey and Archie Rose whisky. 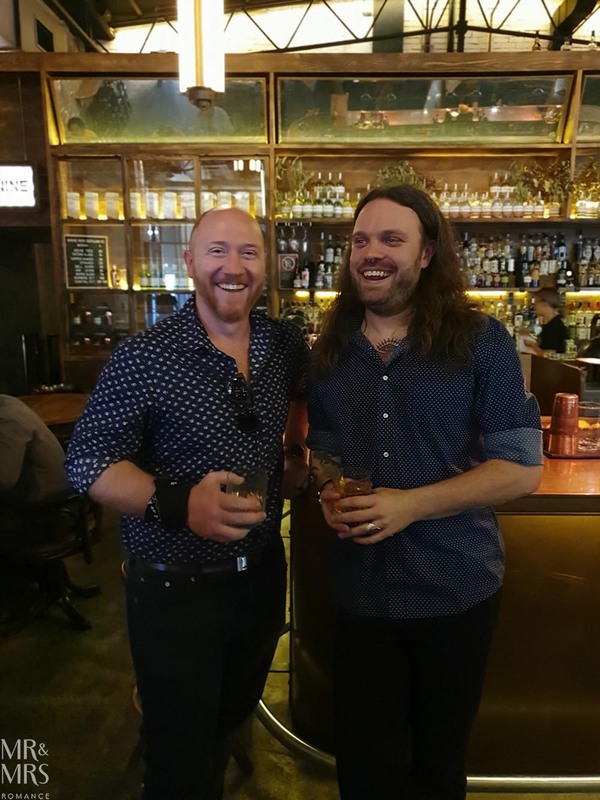 And both Dave Withers (R) from Archie Rose and Westward’s lead distiller Miles Munroe (L) talk us through. We get to taste some of the un-aged product from both distilleries, which you don’t usually get to do. And then a little of the pre-release of Archie Rose, which is exciting. Everyone’s excited about Archie Rose’s come-of-age whisky, and this has all the marks of an excellent New World whisky. Miles takes us through the two aged drams of Westward and explains the first is the regular single malt. 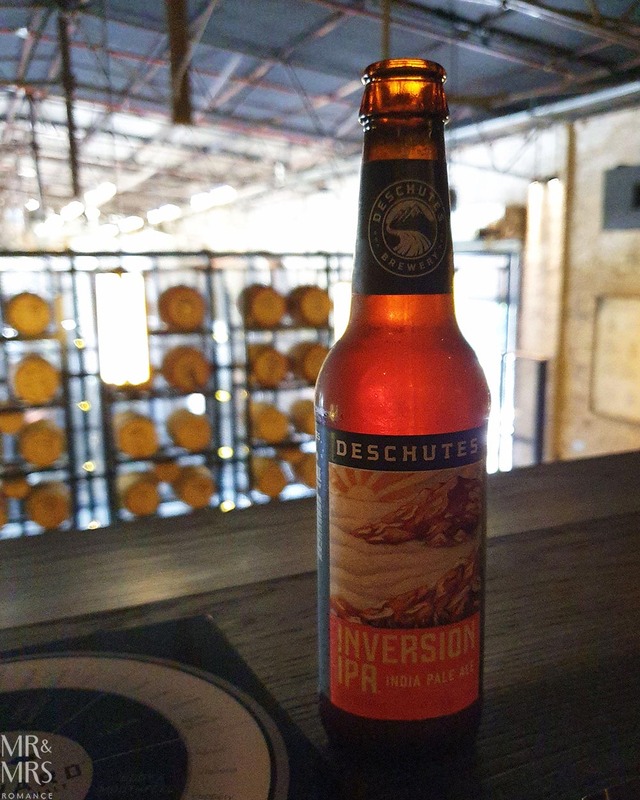 We’re then issued with a beer from Oregon – a really superb IPA from Deschutes Brewery in Bend, OR. The reason for this is the unusual nature of Westward Whiskey. It’s made with brewers’ yeast. Briefly, all whisk(e)y starts out as ‘beer’ that you make with grains – usually barley. You brew the beer with yeast like you would normally, but the yeast most distillers use for whisky is different to the beer yeast. The ‘beer’ is then distilled and made into whisky. In a nod to all the craft breweries in Portland, Westward have used brewery yeast, and the outcome is quite lovely. 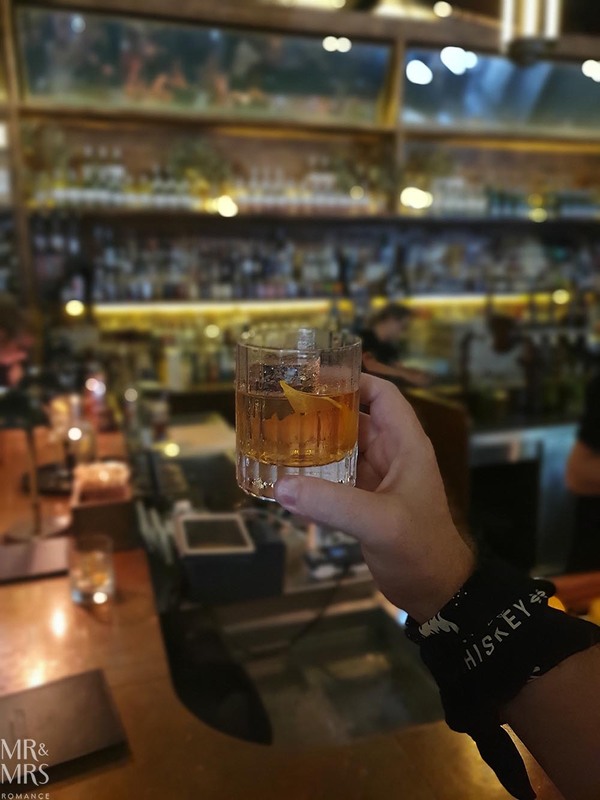 Apart from all the other flavours at play, there’s a beery robust quality to the mid-flavours in the whiskey, and the over all taste stays with you longer than most drams do. Because of this, the Deschutes IPA works beautifully as a boilermaker with the Westward. The second mature Westward whiskey is a special edition. After it’s gone through the legalities of being aged in new American oak like all US whiskey must, Miles has put the whiskey in stout barrels for a while. When the room tastes this, everyone’s calling for him to send more of that! It is a good dram, right enough. After the masterclass, we all head down to the bar for another drink or two and a chat. Westward lends itself perfectly to an old fashioned. And just to be responsible, we enjoy the platter Archie Rose has laid on for us. With all that whiskey, plus the thoughts of going back to work after this, it’s probably a good idea! Before long, Miles himself comes over and we have a quick chat. He’s a bloody good bloke and we have a laugh. I do like talking to distillers. There’s a certain quality about them that I find very comforting. They’re always very smart people, but they have a great sense of humour and often an edge of ‘mad scientist’ about them. My only guess is that the alchemy of distilling does something wonderful to a person’s character. We’re hoping to get over to Oregon later this year, so you might well be seeing more of Miles. I hope I will. While we’re with Miles, I get the chance to sit him down and talk whiskey with him. Here’s our Facebook Live vid you can watch. Hope you enjoy my microphone as much as we do! Being in Rosebury, it makes sense that we pop across the road to Gelato Messina HQ. 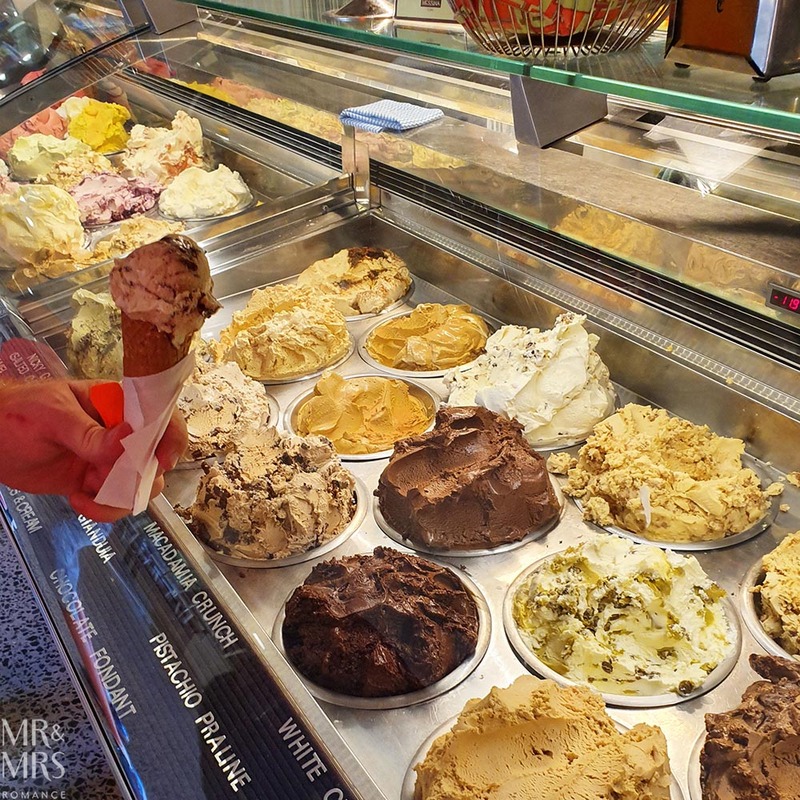 This is Christina’s favourite gelateria in Australia, and with good reason. It’s all so good! The only hard part is deciding which flavour to have… and of course that age old choice: cup or cone. 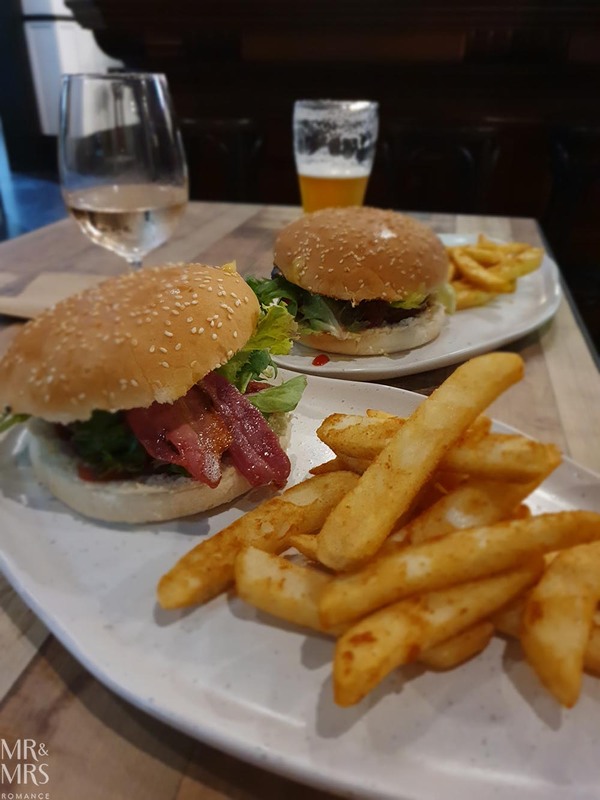 And on our way home, we decide to spoil ourselves further with a stop at another favourite: The Exchange Hotel in Balmain. They’ve just launched their new burger on the food menu, and though they might look like regular burgers, they’re far from it. In fact, think it’s an interesting parallel to draw to the pub itself. 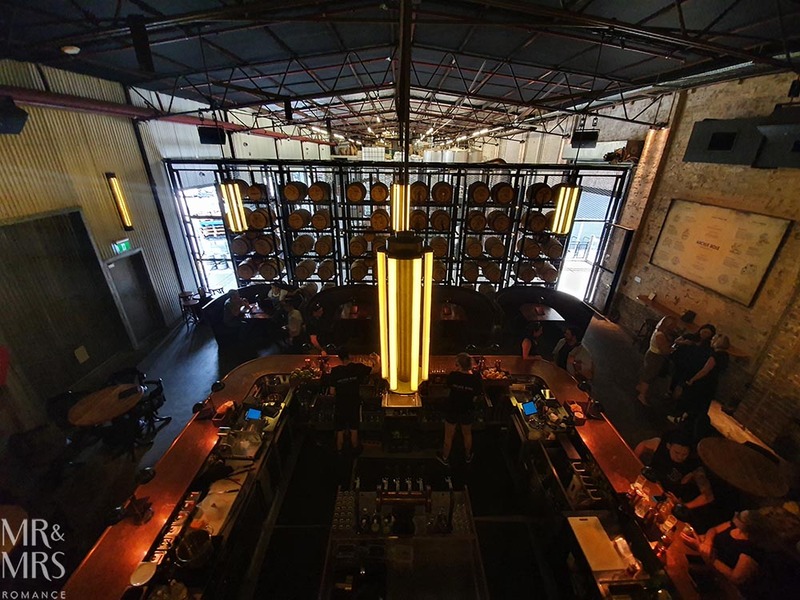 Though the Exchange might look like a little pub on the corner, once you’re inside, you realise there’s something different about this place. Perhaps it’s just the love that’s gone into this place, but you definitely feel it. 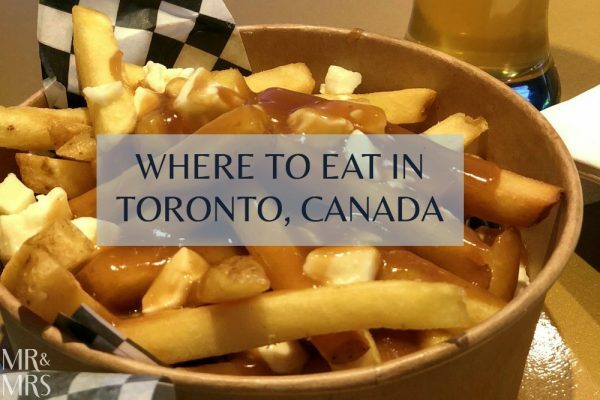 As for the burgers, you notice as you bite in that the rich aioli base sauce, levelled out with a dose of ketchup, offers something different to its calm exterior. Add a chunky beef patty and a rasher of crispy bacon, and you’ve got a meal on your hands. I’m extremely happy to see Christina struggle to finish hers. It doesn’t take much asking for me to reach over to ‘help her out’! Tonight, because Christina is once again back on the road, I’ve had to sub her out for my mate Anton. 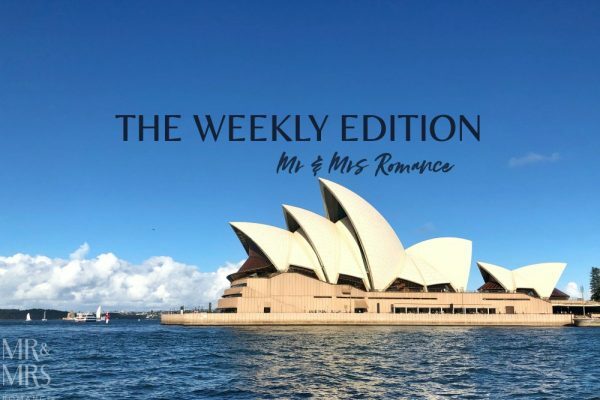 Thankfully he makes a wonderful Mrs Romance as we make our way to one of Sydney’s only urban cellar doors. 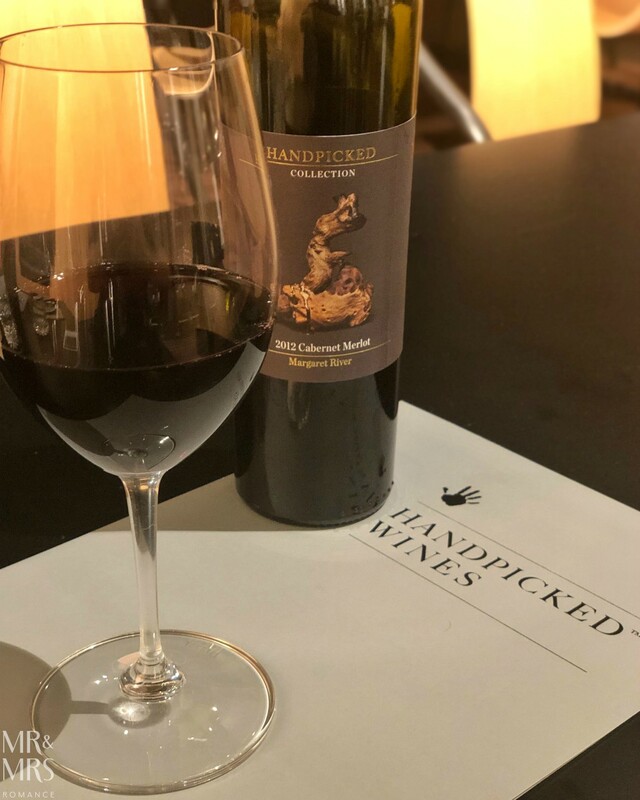 Handpicked Wines is a fascinating concept. They have wine producers all over the world making wine where it’s know to be at its best around Australia, New Zealand and across the world. They also seem to have the ability to find collaborations with some very cool people. 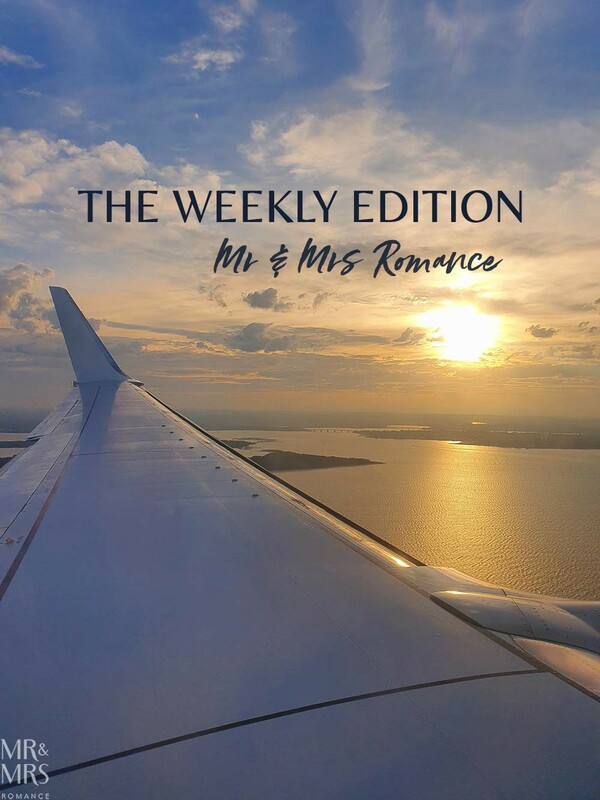 And tonight, Anton (Mrs Romance) and I are here to learn more. 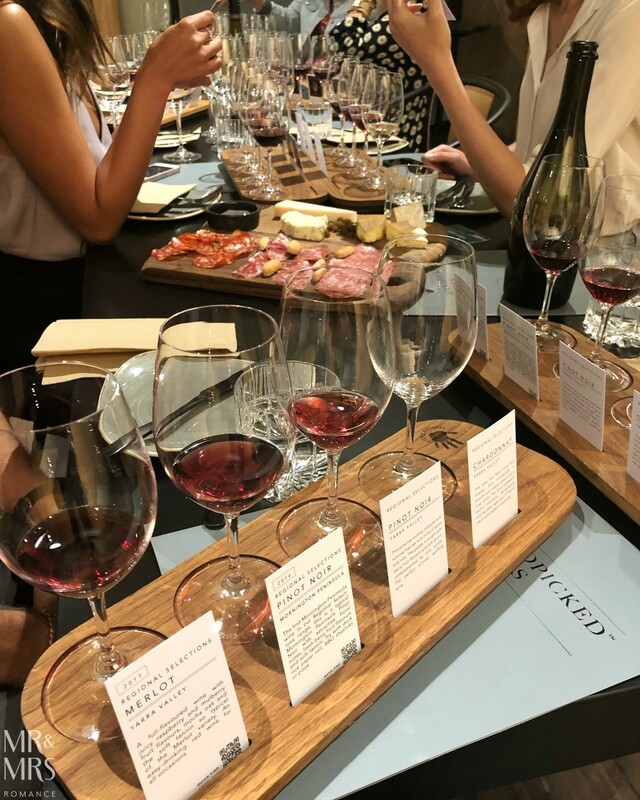 To start off, we’re welcomed with a glass of the Handpicked Prosecco, but things move quickly on a flight of four of their wines. 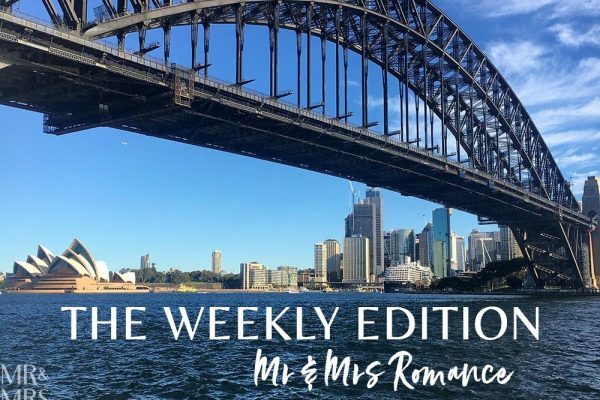 The Yarra Valley Chardonnay is robust and delicious – possibly my favourite so far – and the two Pinot Noirs we try from the Mornington Peninsula and Yarra respectively are excellent as well. The Yarra Merlot is surprisingly bold, though very easy to drink. 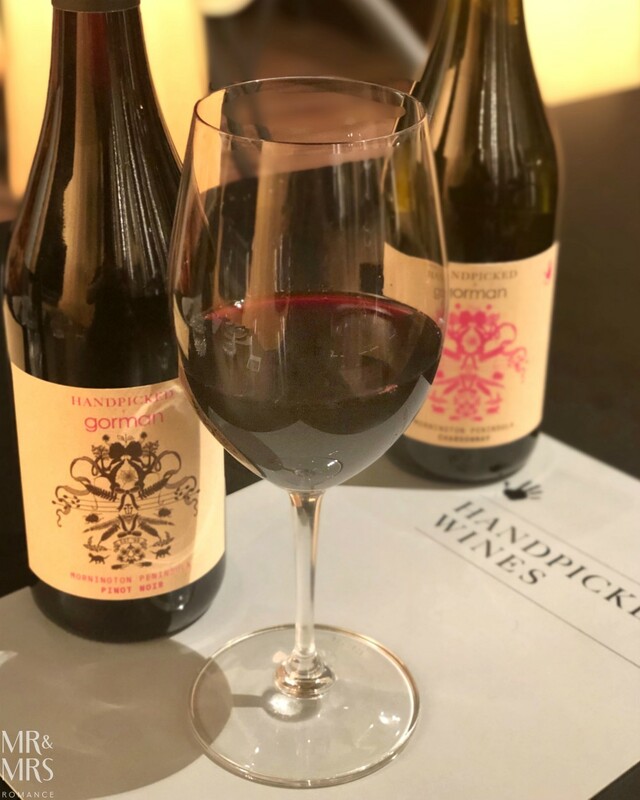 And then the main event: clothing brand Gorman has come together with Handpicked to create two different wines in celebration of both Melbourne’s Fashion Week (VAMFF) and the brand’s 2-week pop-up exhibition at Melbourne’s Heide Museum. Of the two wines, the Chardonnay is a standout, though the Pinot Noir has all the attributes of an expertly-made wine. 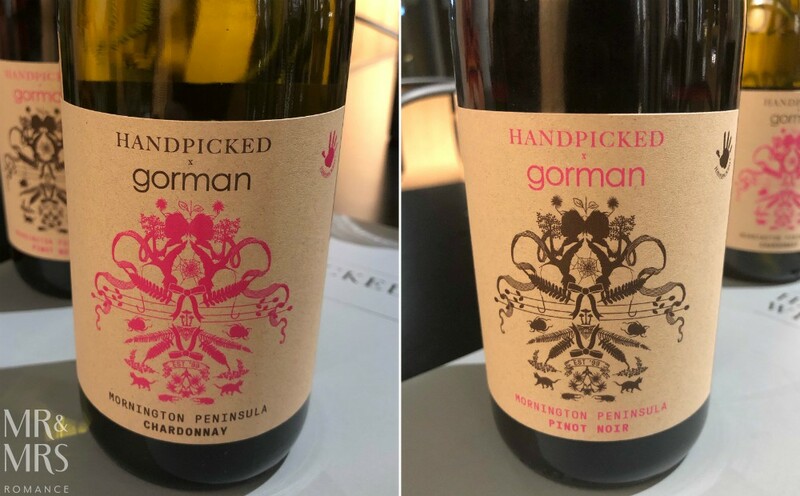 Both from Handpicked’s Mornington Peninsula vineyards and quite close to the sea, these wines show all the fresh full-flavoured characteristics of the region. It’s also in celebration of the 10 years Lisa Gorman has been collaborating with some of Australia’s most interesting visual artists, which is amplified by the incredibly detailed beautiful labels. 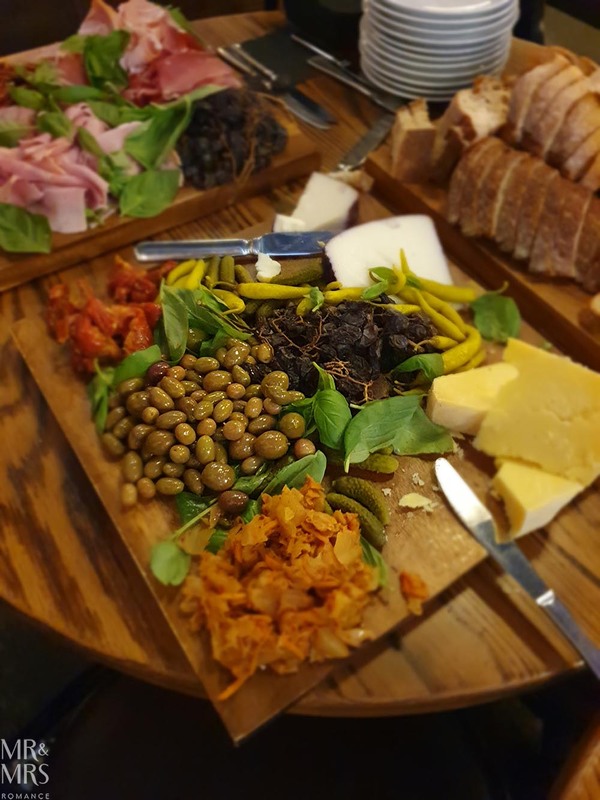 Apart from the excellent selection of wine here at Handpicked, they also have one of the best cheese boards in the city. Formaggi Ocello sources and imports some absolutely mind-blowing cheeses from Australia and across the world. And I don’t think there are many things better than a delicious wine and a choice selection of exquisite cheeses. One of my favourite things about Handpicked and their cellar door is their zeal for education and enthusiasm for sharing. You can have tasting sessions here like a regular cellar door in the countryside. You can even have classes here to learn about the blending process from the specialised wine tanks in the tasting room. Best of all though, this winery is not afraid to open a bottle of wine for you to taste. 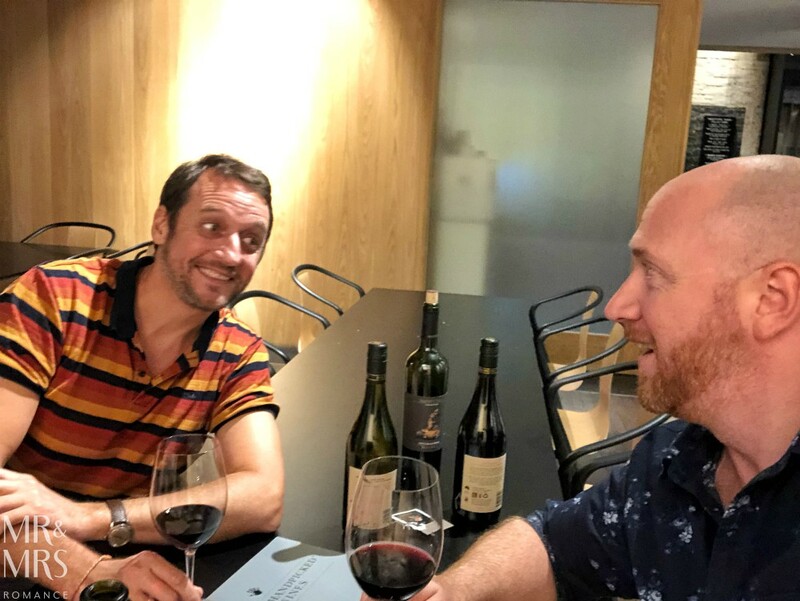 While we’re here, Anton and I get to talking with Antony Handpicked’s sommelier. He shows us a beautiful bottle of 2012 Cabernet Merlot and pours us a glass. It’s absolutely superb. He explains that it’s $100 a bottle, but because they’ll probably be able to sell it by the glass in a day or two, he’s happy to open it. And for the $400-a-bottle wines, they use Coravin to keep it from oxidising. 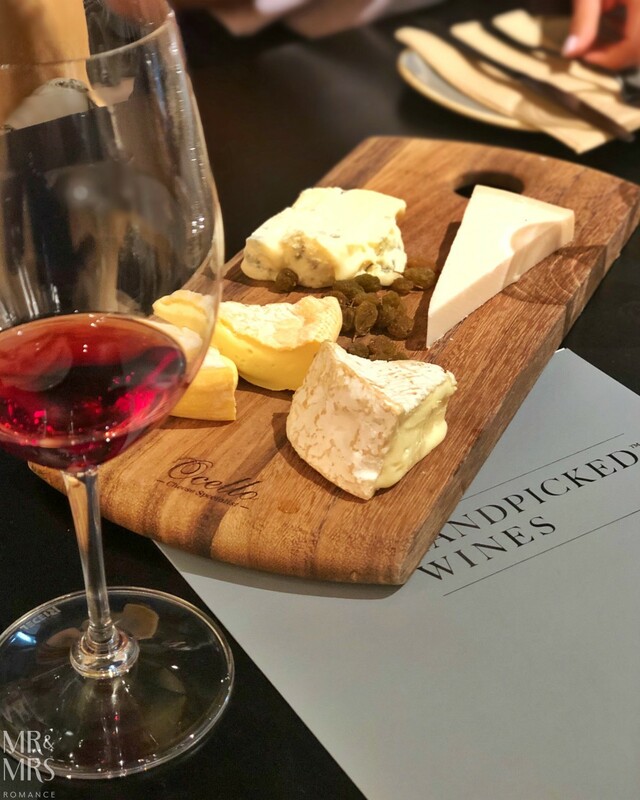 So make sure you get over to Handpicked for a glass and some cheese asap!